When he’s not scattering art projects across Los Angeles or showing up to people’s weddings dressed as Batman, Jaden Smith is usually on Twitter, dropping words of wisdom that straddle the line between high art and straight-up nonsense. With casual truth bombs like “School Is The Tool To Brainwash The Youth” and “The Great Gatsby Is One Of The Greatest Movies Of All Time, Coachella,” it seems Jaden Smith is on a mission to blow the minds of everyone online. But, in a new video from Vanity Fair, it seems the tables have turned. 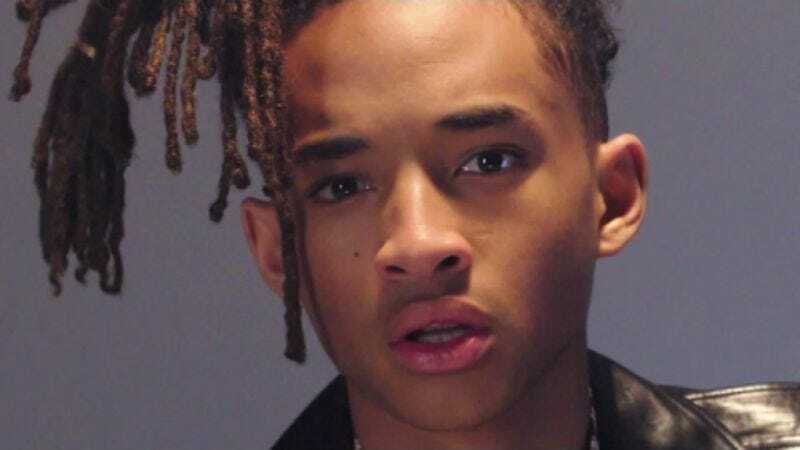 In “Jaden Smith Reads Mind Blowing Facts About The Universe,” the leather jacket-clad 18-year-old sits in astonishment as he recites a series of impossibly true facts that, if you were to see them on the bottom of Snapple cap, would make you say, “Neat.” Admittedly, it’s a nice change of pace to see Smith be the one flabbergasted by the things he says and, as an added bonus, we now know he plays World Of Warcraft. Consider your mind blown!